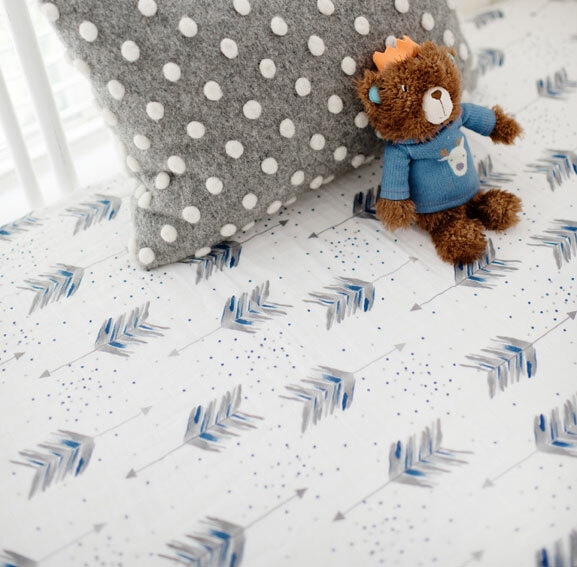 Our soft cotton muslin crib sheets feature a breathable and natural construction that softens with every wash. Fun gray and navy arrow pattern adorns this adorable crib sheet for a baby boy! 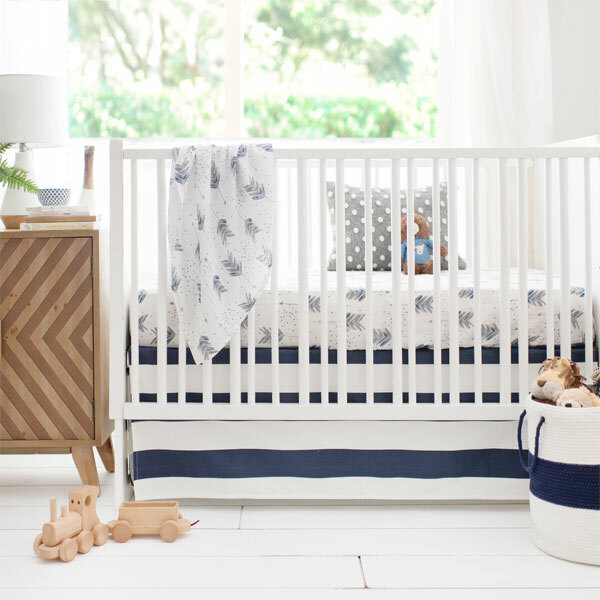 • Fits standard crib mattress. 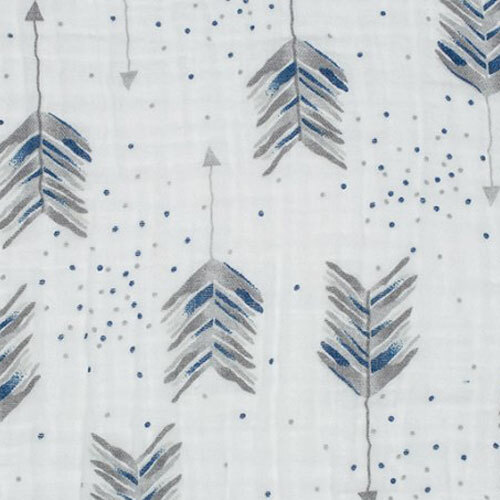 • Made of Double Gauze Cotton Fabric. 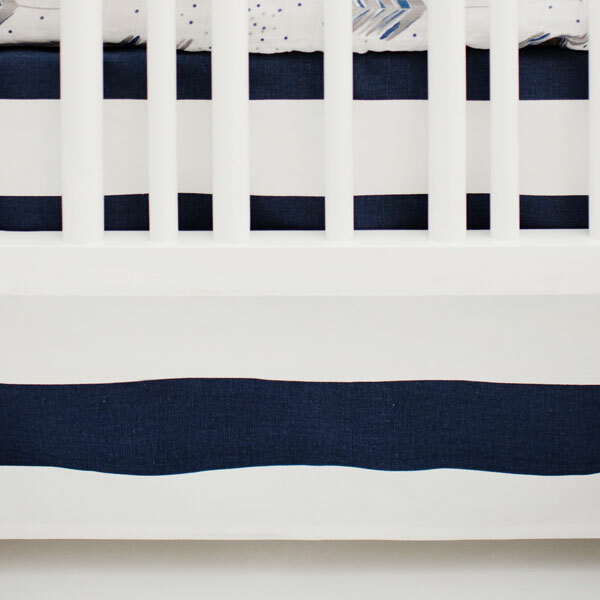 • All of our crib sheets have elastic around all four corners and are fitted for a snug, secure fit. 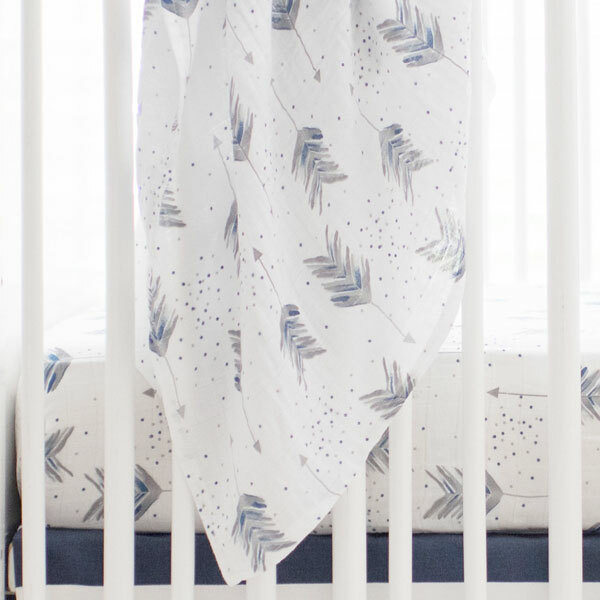 • Our baby sheets fit a standard size crib mattress, approximately 28" by 52". 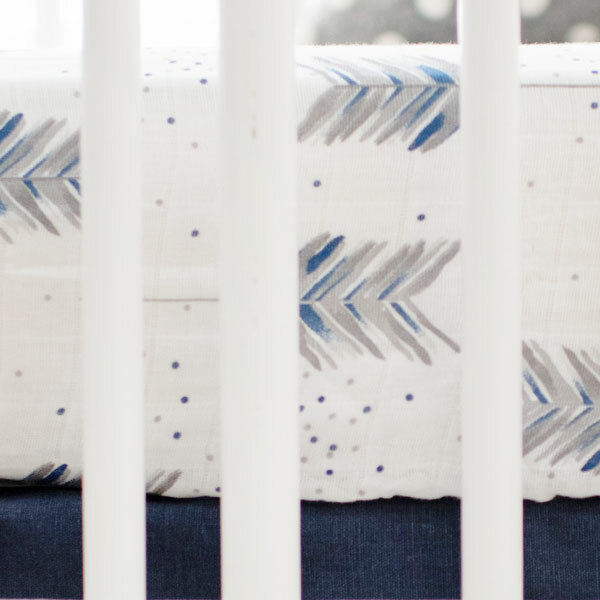 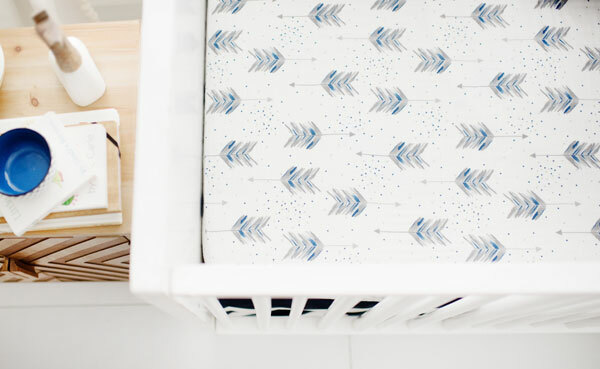 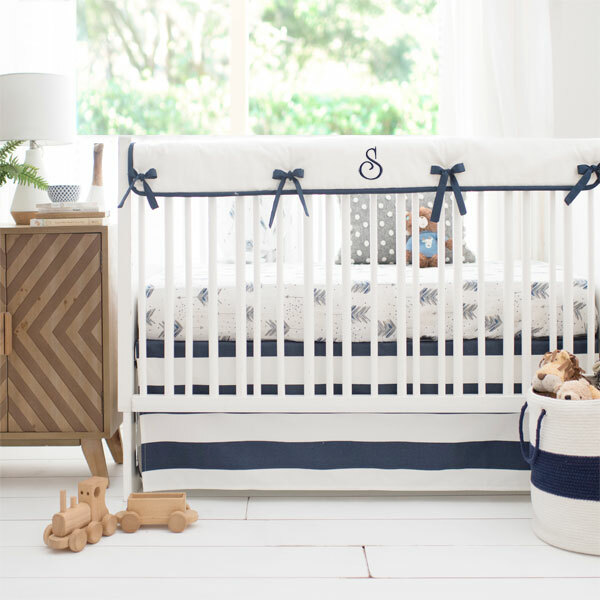 Coordinate this muslin crib sheet with our Aim High Crib Collection.